We have some wonderful In Colors to work with this year. I am just loving the colors. 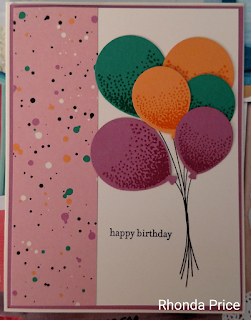 Confetti and balloons say Happy Birthday to me just as much as cake and ice cream. 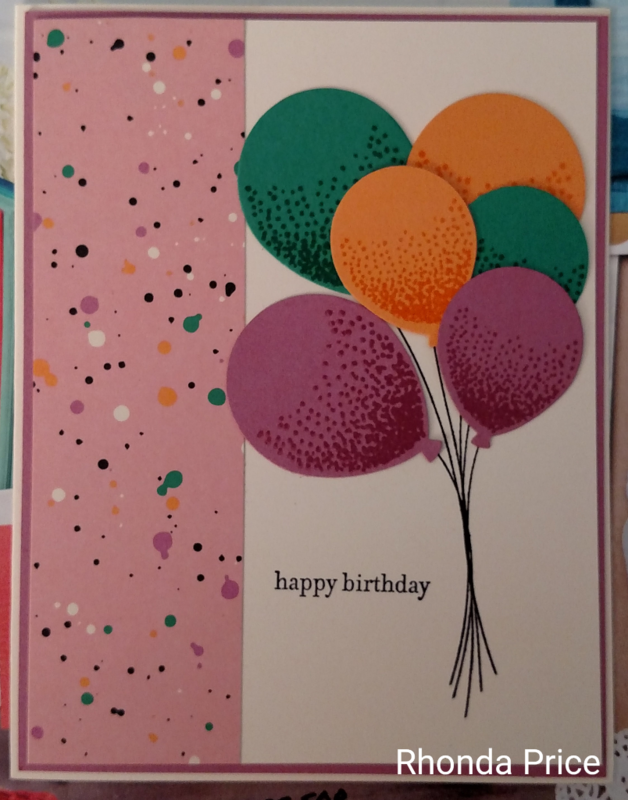 This paper from the Playful Palette DSP reminds me so much of confetti, I just had to pair it with some balloons from the Balloon Celebration stamp set. Leave me a comment and let me know what you think.